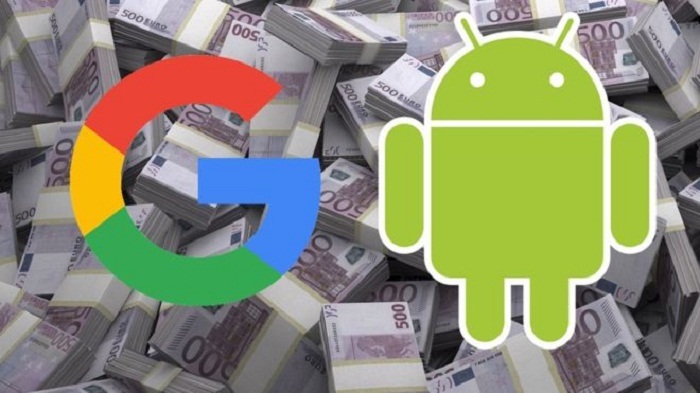 Google has been fined a record 4.34 billion euros ($5bn; £3.9bn) over Android. The European Commission said the firm had used the mobile operating system to illegally "cement its dominant position in general internet search". The firm's parent Alphabet has been given 90 days to change its business practices or face further penalties of up to 5% of its average daily turnover. It represents the largest fine imposed by the regulator against a single firm. Google's chief executive Sundar Pichai was pre-briefed about the decision by Competition Commissioner Margrethe Vestager on Tuesday. In a statement she said Google had "denied European consumers the benefits of effective competition in the important mobile sphere." Google's parent Alphabet can easily afford the fine- its cash reserves totalled nearly $103bn at the end of March. However, the California-based company may decide to challenge the ruling. Vestager previously fined Google 2.4bn euros ($2.8bn; £2.1bn ) over a separate probe into its shopping comparison service - a ruling the tech firm is in the process of appealing against. In addition, her team has a third investigation underway into Google's advert-placing business AdSense. The European Commission first began scrutinising Android in April 2015, following a complaint by Fairsearch - a trade group that originally included Microsoft, Nokia and Oracle among its members. At that point, Android had a 64% share of Europe's handset market, according to research firm Statcounter. It has since grown to 74%. In response, Google had denied obliging device-makers to preload any of its apps. It had also claimed that distributing Google Search and the Play store together had made it possible to offer its services for free. "The commission's approach... would mean less innovation, less choice, less competition, and higher prices," its global affairs chief blogged in 2016. He added that in any case, Apple and its rival iOS operating system gave consumers an alternative. Google has already made concessions in Russia, where the local competition regulator pursued similar complaints. There, Android users are now offered a choice between Google, Yandex and Mail.ru as the default search engine the first time they use the Chrome browser. Yandex has seen its share of mobile search rise from about 34% to 46% since the change, according to Statcounter. But one legal expert said the EU's dispute could take much longer to resolve. "Google has shown in the past that it is prepared to assert its legal rights," Suzanne Rab, a barrister at Serle Court Chambers, told the BBC. "It can appeal to the EU courts, and as we've seen in the European Commission's abuse of dominance case against Intel, such litigation can be measured in years and not months." The European Commission had the power to fine Google up to 10% of its annual revenue. Based on its last annual report, that would have amounted to $11.1bn (£8.5bn). The 4.3bn euro figure is, however, a record-sized sum for the commission.